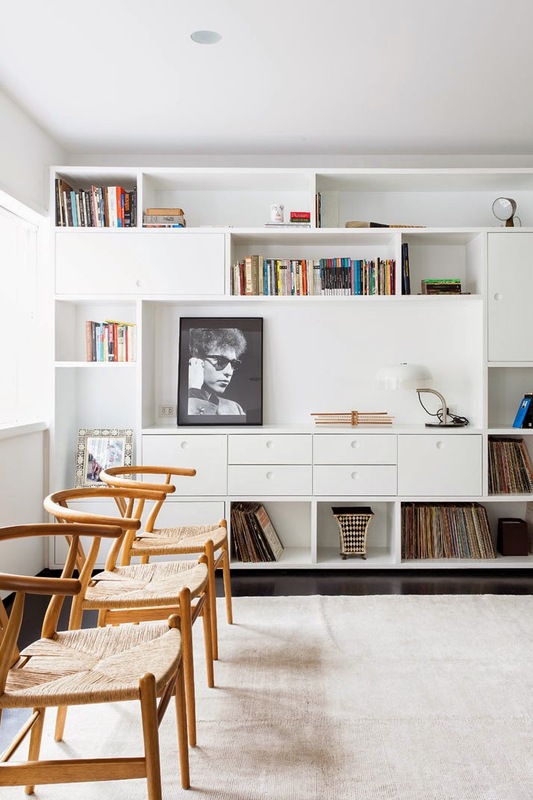 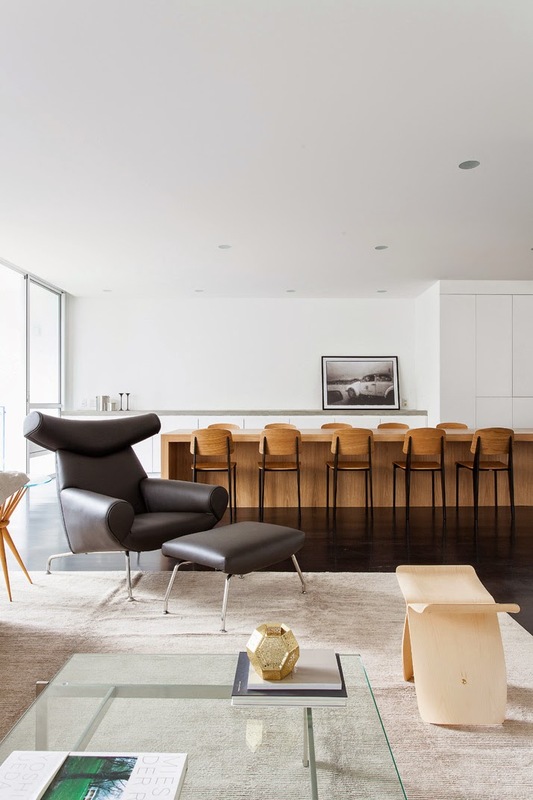 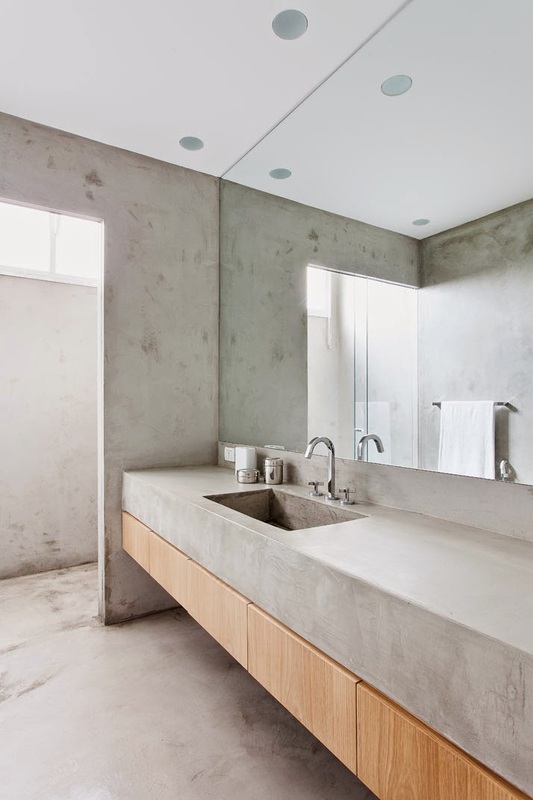 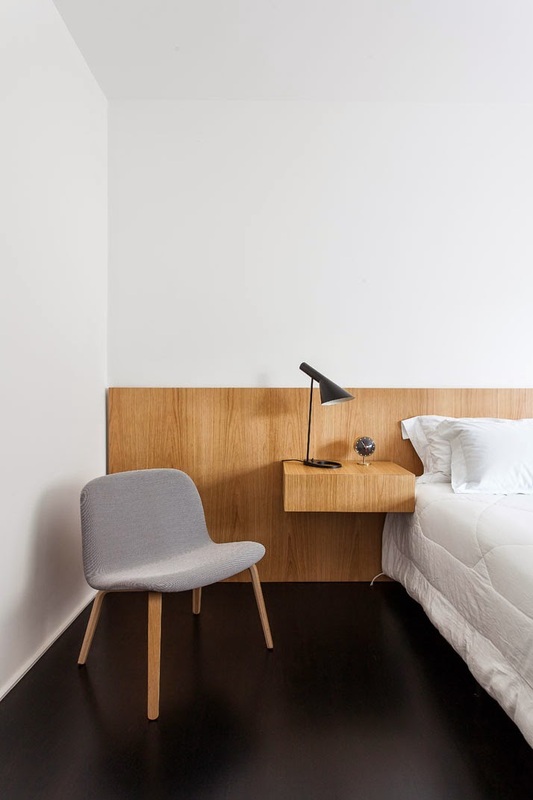 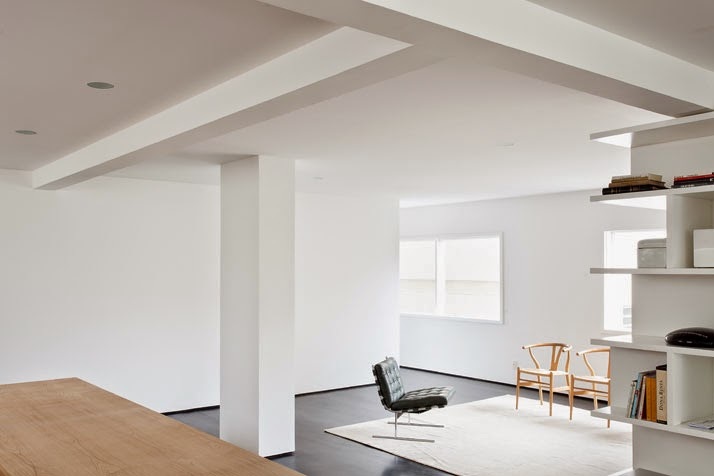 Apartamento Sergipe is a minimalist apartment in São Paulo, Brazil, designed by architect Felipe Hess for a young actor who lives alone. 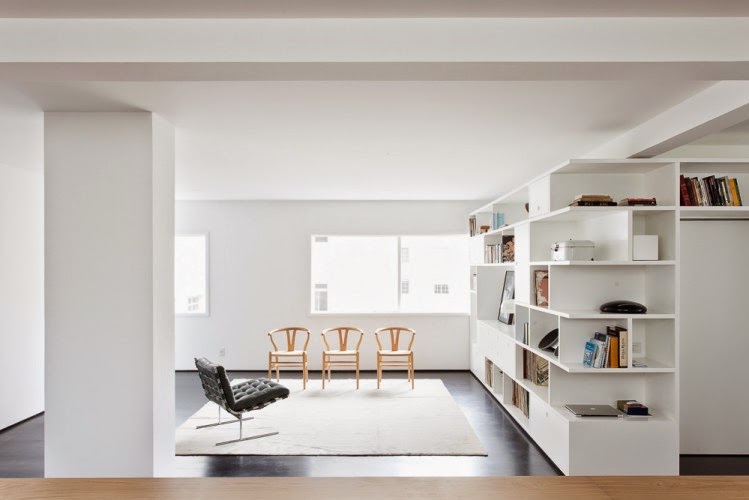 Located in a 1960 modernist building, the project involved the demolition of most of the walls, in order to unify the social areas, creating a spacious and bright apartment. 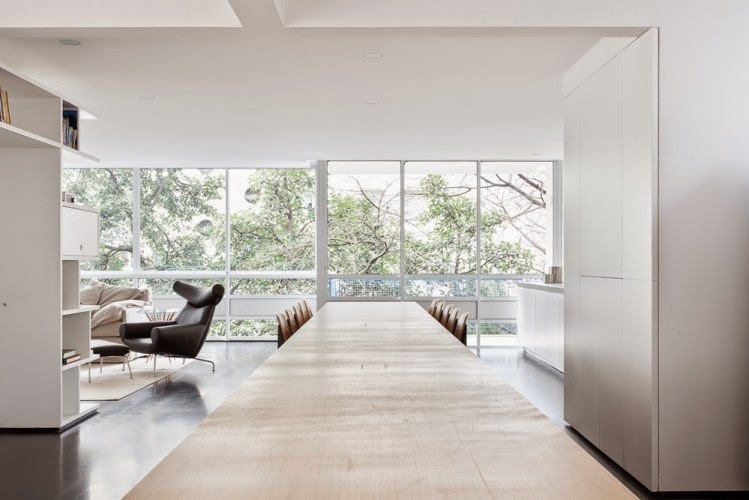 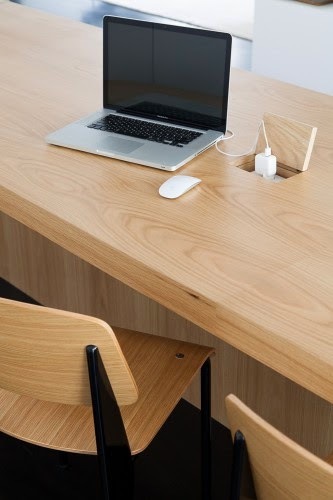 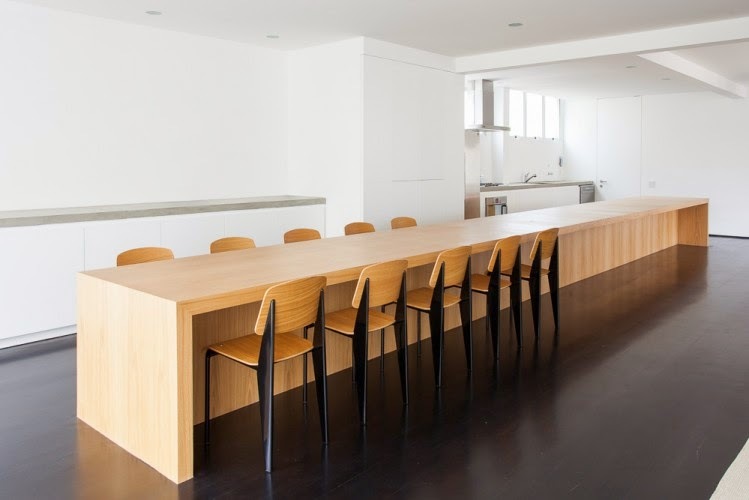 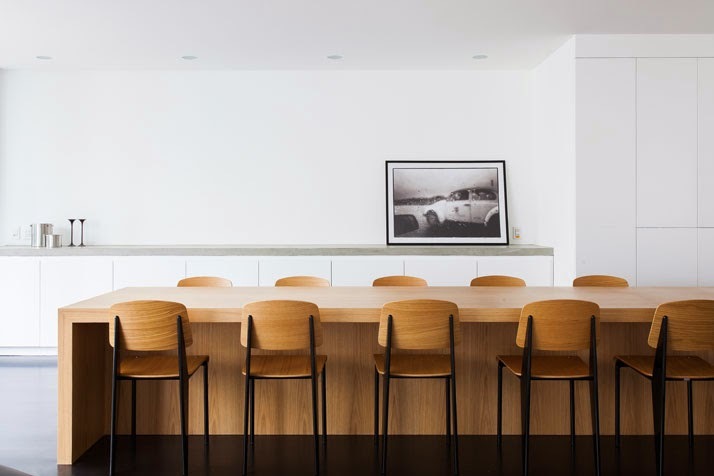 A 10m long table runs one side of the loft-like space, serving different purposes at different points: cooking table, office desk with inlaid power plugs, and dining table. 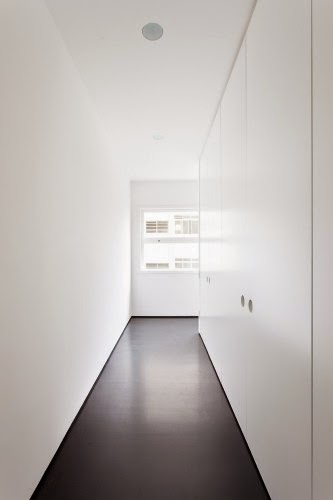 The private areas (a double bedroom with bathroom and a small toilet for visitors) are hidden behind a large white wall. 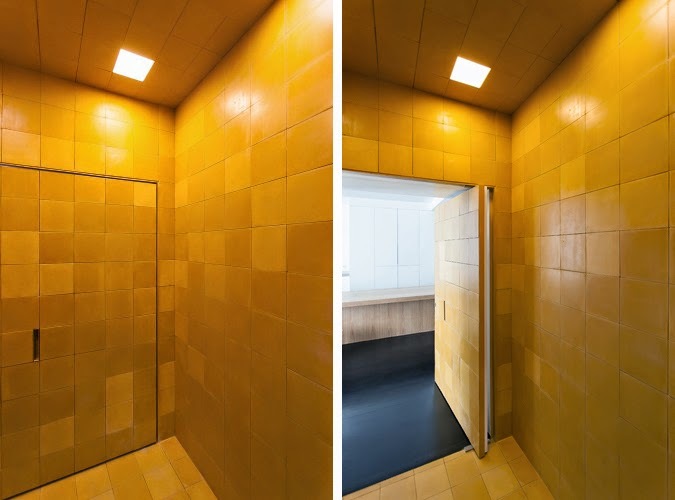 Another highlight is the main entrance, placed inside a cubic structure completely covered in bright yellow tiles. 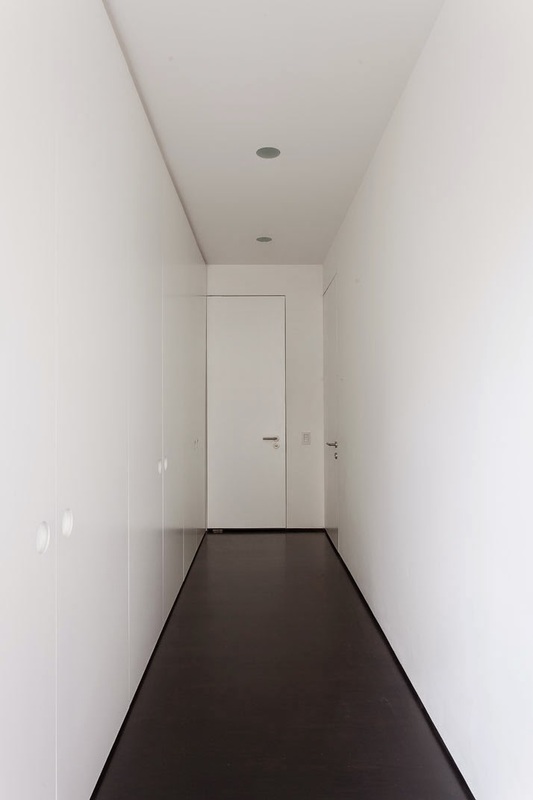 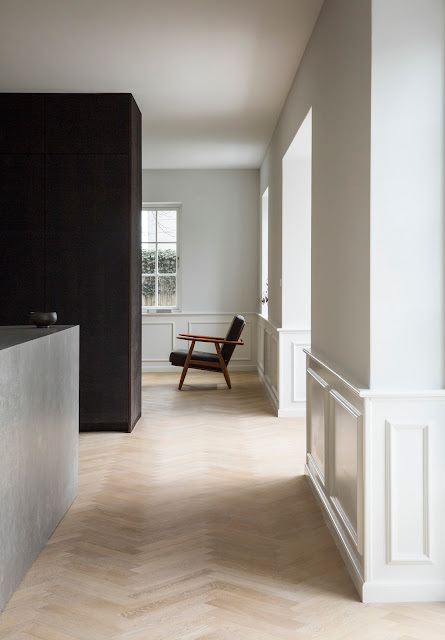 The designers decided not to use a door handle in order to create a seamless surface of tiles. 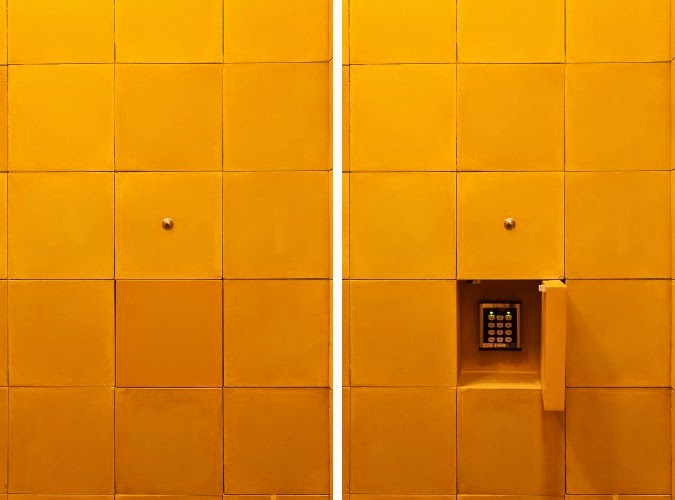 Thus, the door opens by entering a PIN on a number pad hidden behind one of the tiles. 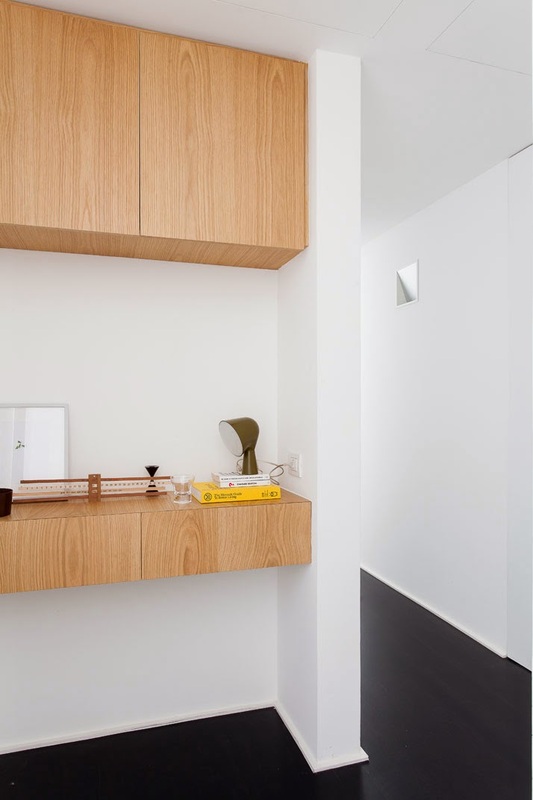 The entrance cube is covered with shelves from the outside, so when you enter the apartment it seems like you are coming out of a magic door through the bookcase.